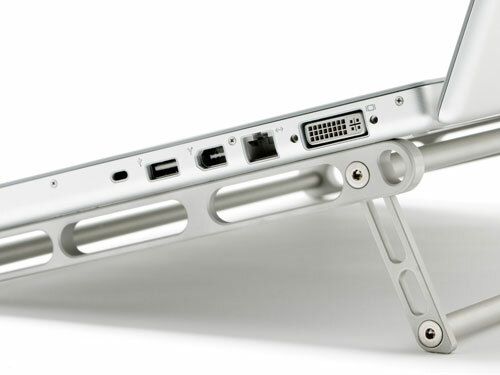 Design firm Industrialized Nation announced today a new laptop support system designed for Macintosh laptop computers. The Inclinepro is priced at around $75. The Industrialized Nation Inclinepro is designed at an angle so that heat is carried away from the Mac laptop. It raises the laptop and also angles the keys to provide for better ergonomics. It weighs around seven ounces and can be made compact for easier travel. The Inclinepro is also made of aerospace-grade aluminum for better durability. Teenie-boppers aside, I don’t know anyone who would sacrifice utility for aesthetic gimmicks. I suppose there are people who want a wine bottle shaped thumbdrive, or a Darth Vader shaped flashlight but I don’t know these people and I’m very glad I don’t. But that won’t stop companies from coming out with cheap devices, the sole selling point of which is a gimmick like the following Lipstick shaped MP3 player I have to dub the most ridiculous item of the day. We’ve already showed you one story yesterday showing off a gold and diamond covered MacBook Pro but if you have other gadgets not made by Apple and want them forever AU’ed now we know the source where to go. Goldstriker prides itself on being a family owned business that specializes in gold plating whatever brand name electronic device you want. 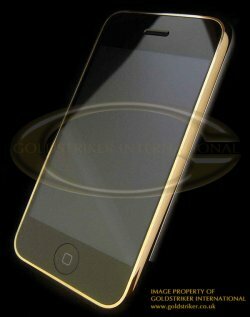 The company will take your Zune, iPhone, iPod or Newton if you’re old school geek and plate it with 24 caret gold. They also stand behind their work with a one-year warranty and they will also encrust diamonds on your swag if you want to go that extra distance. The prices range on what the piece of technology is and then if you want jewels on it or not, just don’t go expecting fire sale prices and you will be fine. 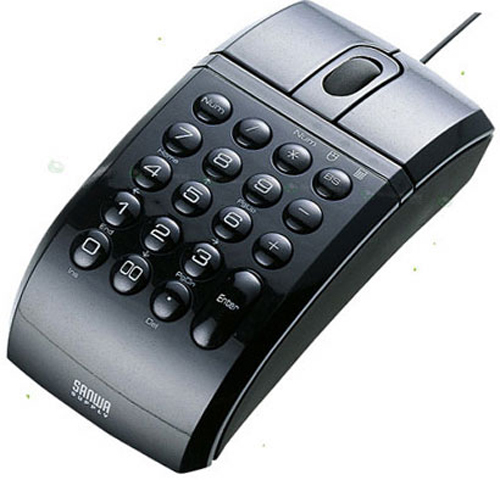 A mouse and numpad combo seems like a great idea for accounting work but from looking at the Sanwa NT-MA2 one question comes to mind: How careful would the user have to be to use the device as a mouse without hitting the keys? If you look at the mouse there is a “num” button and I’m making a leap here, but if that button doesn’t lock the pad from accidental triggering of the keys then this device gets an “F”. So far I’ve not been able to confirm that there is a lock but I have to assume the designers would think to include one, so if they did this could be a very handy 2-in-1 device for people who deal with numbers a lot.The mouse is a simple style USB mouse with just the two buttons and scroll wheel. The 53mm x 108mm x 33mm mouse comes in silver or black and is priced at 40 Eur. 1,000 lucky patrons at Wednesday’s San Francisco Giants baseball games were given Visa’s new Micro Tag payment device pre-loaded with $15 of credit. 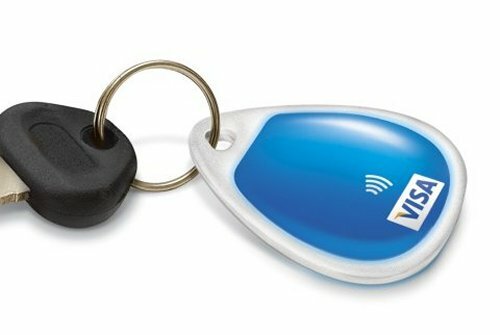 The keychain-sized tag contains Visa payWave technology which allows customers to merely swipe their tag over a reader at the point of purchase. The amount of the purchase is then automatically debited from the tag. It’s making purchases easier to do than swiping your debit or credit card. Cash? What’s that? Finally I have found something that will forever change my life for the better. Behold the wonder that is the Knicks Cable Holder, a godsend if you’re like me and your desk or floor are covered with cables or, like me, you “hold” the not-being-used USB cables underneath a book or other weightier object. The device is so simple yet I haven’t seen it for sale anywhere else: fasten the Knicks to a side of your desk or nearby piece of furniture and run your cables through it. When you need to unplug one, like a USB, the plug end won’t fall to the ground. That’s it. 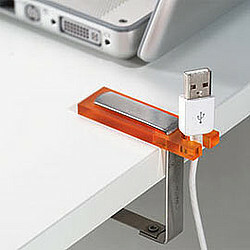 As I said, simple as can be but where have you been for all my life Knicks Cable Holder? My $11 is yours. While it may look like a painted-up controller for Microsoft’s Xbox 360 it is in fact made for the Nintendo Wii. 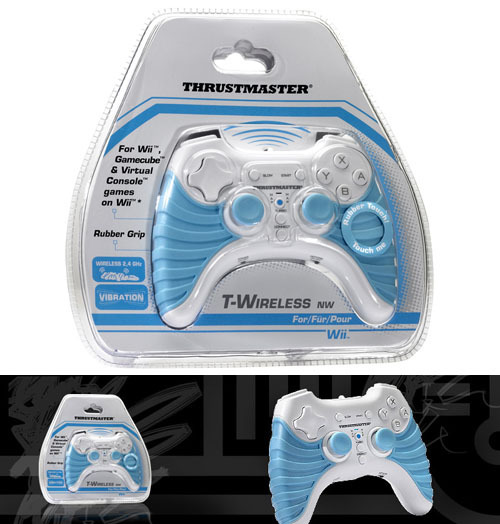 This is the Thrustmaster T-Wireless NW controller and it’s designed for play with the older, classic video games that are being ported for play to the Wii generation. You get about 30 feet of play range out of it and you can customize the keys, mini-sticks and the D-pad for whatever function you desire. There are also two unusual buttons that will help you get better scores with your Miis: a turbo bottom which you only need to press once to get the same action as repeated button mashing; and a slow button which, if you can guess, slows the on-screen action down when reaction time is of the essence. 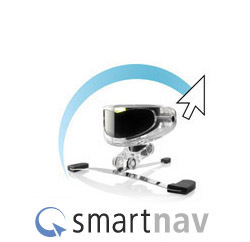 SmartNav by NaturalPoint is a hands free pointing device designed to provide an alternative for graphical navigation. The sensor looks eerily like the flying automatons from Batteries Not Included and sits atop the monitor responding to reflection from the infrared light it generates. You can wear the cap provided with the unit or apply the reflective tabs to anything you wish. The cap is a bit geeky but it works best in my experience. The software provided allows for fine tuning the reaction of the device as well as control over how the user causes a click event. With a little experimentation the unit can be optimized for minimal head movement. The software accommodates pausing the detector with customizable key commands to make switching to another device simple. There are two methods of evoking a click event: software or hardware. Key commands can be assigned to initiate a click event or any number of simple actuators can be connected to get the most out of the user experience. For those of you that hate fumbling for your credit, gas, shopping or any other plastic card tucked inside your wallet, here comes the Auto Card Manager to make shopping a little easier for you. 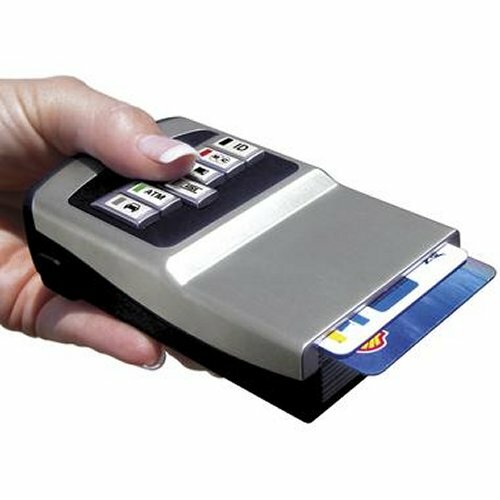 Pick up one of these gadgets priced between $40 to $60 dollars, press a button and you will be able to pop out one of 6 to 12 of your cards. Getting ID’ed by a police officer? Here officer, just let me show you my driver’s license. Will that be Visa or MasterCard sir? 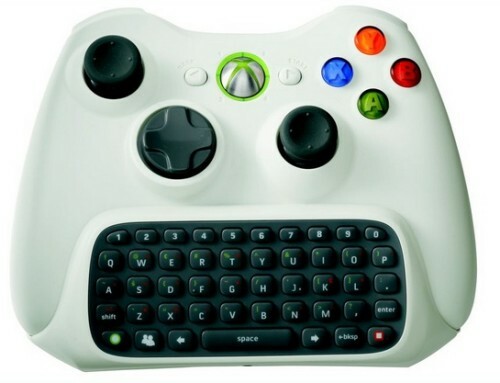 Sticking to their plan they announced in July, the Chat Pad accessory for the Xbox 360 game controller is set to start shipping next Tuesday, September 4. The Chat Pad will come packaged as part of a Messenger Kit that will come bundled with a headset for $29.99 from Microsoft. Be sure to remember when ordering that this kit doesn’t include the controller, just the Chat Pad and the headset. 1TB of external hard drive space…mmmmm….tasty. 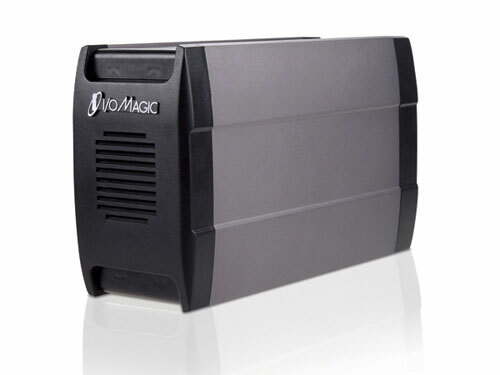 You get the general idea of this newly remodeled data storage device from I/OMagic, the TeraBank 1000GB. This massive drive is priced at around $300. What makes the TeraBank 1000GB remodeled, said I/OMagic, is a “more sturdy, sleek, black and silver enclosure.” While aesthetics are certainly nice what really matters to us is the ability to use this device to archive our gigs and gigs of music, video, digital photos, etc. The TeraBank 1000GB lets us do that through a USB 2.0 connection capable of a maximum transfer rate of up to 480MB per second. Overheating and ergonomic issues are two potential problems laptop users face. 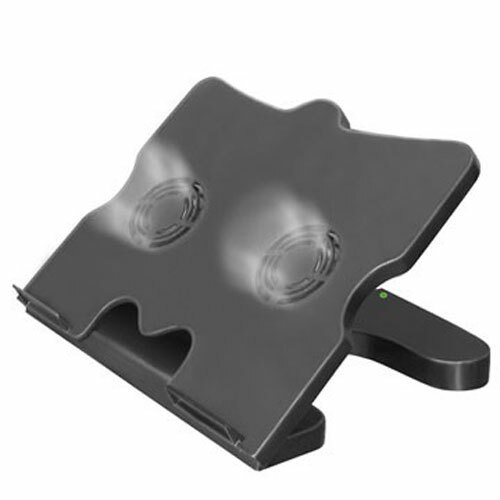 A new laptop stand/cooling dock combo device has been introduced which claims to effectively combat both these problems. The Cooldock Laptop Stand is priced at around $65 and available now. The Cooldock is part of a small category of generic laptop stands which one can use to put the laptop at more traditional eye level to take strain off your vision. This is accomplished via one of eight adjustable levels for height tilt. Also built into this product is a four port USB hub for connecting items like keyboard and mice. 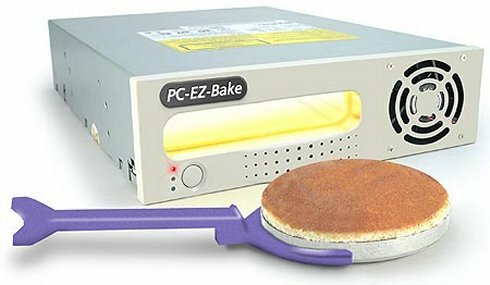 If you’ve ever been working away at home on your computer and found yourself to jump up and exclaim “Oh, my muffins” and run to the kitchen; this is a good indicator that you will want to look further into the PC EZ-Bake Oven from ThinkGeek. The nostalgic oven fits into the 5.25″ drive bay of your PC and bakes with a light bulb (extra bulb included) to make your own personal confections right at your desk. It comes with some packs of mixes and some open-source oven controlling software with recipes, but can also be used to heat up pop-tarts or any other flat snack you have in your office fridge. Our favorite “in-office” recipe from the devices collection has to be the “Non-Dairy Creamer Creme Brulee”. While’s there is not much normally much exciting to talk about when it comes to KVM switches Iogear is at least making it interesting for us in this latest model. The Iogear MiniView Micro DVI PS/2 KVM Switch, priced at around $160, is available now. 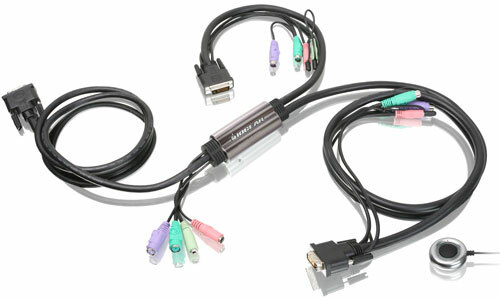 The Iogear MiniView Micro DVI PS/2 KVM Switch (GCS92) lets you share one DVI-enabled monitor, PS/2 mouse, keyboard, speakers and microphone with two computers. It is compatible with Windows and Sun operating systems and offers support for 32 bit color at video resolutions up to 1600 X 1200 @ 60Hz. 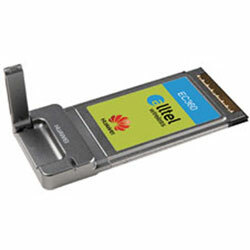 Alltel Wireless announced today it was the first North American wireless provider to offer PC data card products from Huawei, an overseas developer of telecommunications products. The Huawei EC360 card is now available for around $190. The Huawei EC360 lets laptop owners go wireless broadband at download speeds up to 2.4 Mbps, and supports Windows 2000, Windows XP and Vista operating systems. The card has a hinged antenna and external antenna port to offer options for better signal strength. It slides into the PCMCIA slot of a notebook and supports EVDO.